Thank-you! 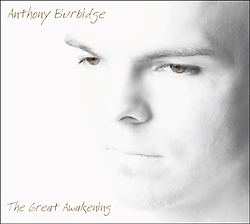 Your purchase ensures the world receives more of Anthony's inspiring music! To purchase by CHEQUE or MONEY ORDER, click here. To purchase a DIGITAL DOWNLOAD, click here. CD Purchasing Instructions Tip: To follow detailed instructions in a special window, just click here and follow along as you conduct your transaction. Note: Once you click on the "Add to Cart" button below the CD, you will be taken to a secure payment page hosted by PayPal where you'll be able to pay using Visa, Mastercard, American Express, Discover, eCheck, or PayPal. Credit card payments are handled by PayPal, although you don't have to become a PayPal member to make a payment. Your purchase will be shipped to any destination within Canada and Continental USA. Questions? Try using the special instructions while you conduct your transaction. Just click here.